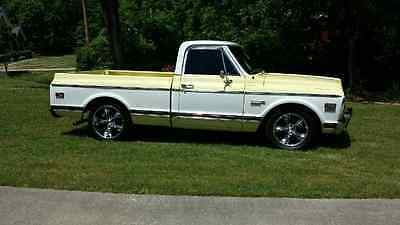 1972 Chevy Cheyenne Super Short Wheel Base with factory 402 Big Block, A/C, and 400 Turbo automatic Trans. This truck was restored in 2007. It runs and drives like new. Additional Pictures and information available. Call 601-573-1521. 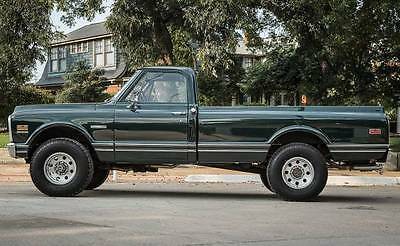 My situation:Hoping to find a buyer for my friends truck. 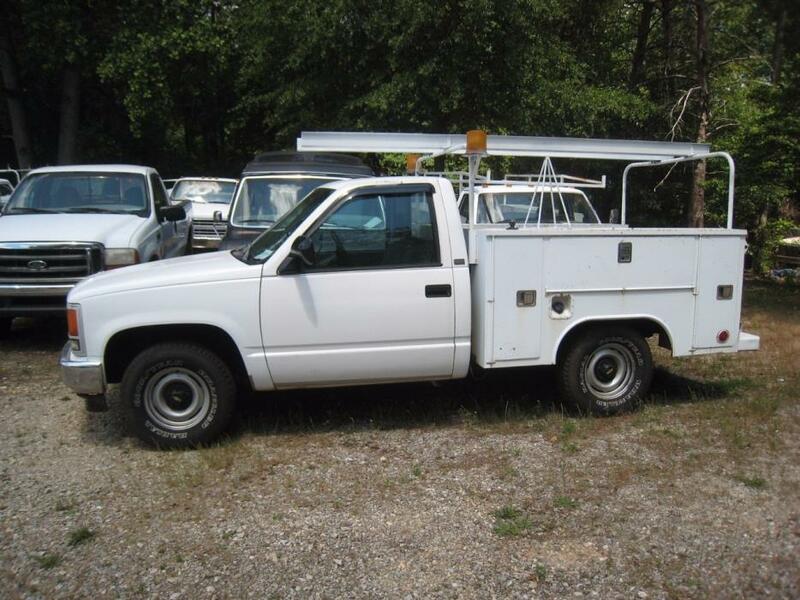 I've been in the process of purchasing this truck by monthly payments, but will no longer be needing this type of truck. Originally was to be used for work with a cable company as an independent contractor. Now I'm no longer needing a utility truck and have found a different job. 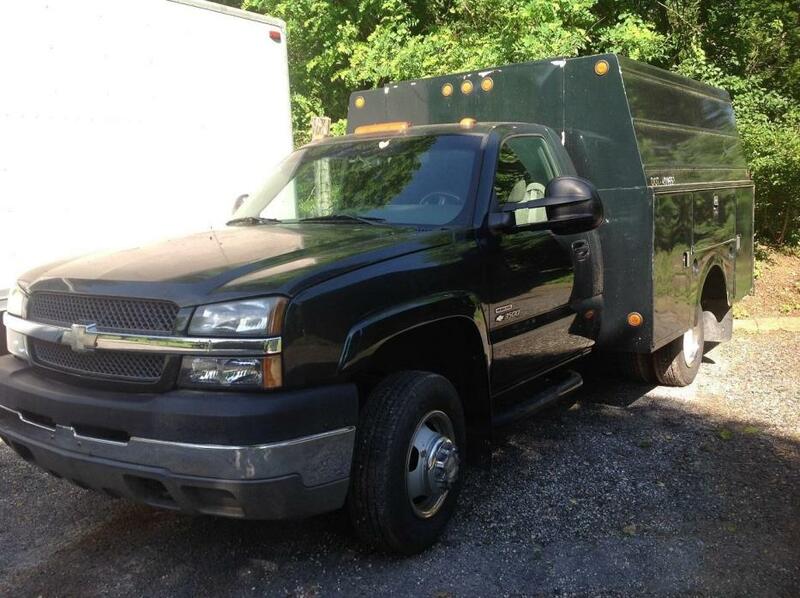 About the truck:From what I understand, the truck was bought new (1997) for a military base and used only on the base. When the base was closed down the truck was bought by one of the workers. This guy used the vehicle locally working as a contractor. This guy thoroughly maintained the maintenance on the truck all these years. He fell off a roof he was fixing and never recovered to return to work. My friend bought his mobile home he was selling and the guy put a deal together with the sale of the truck. 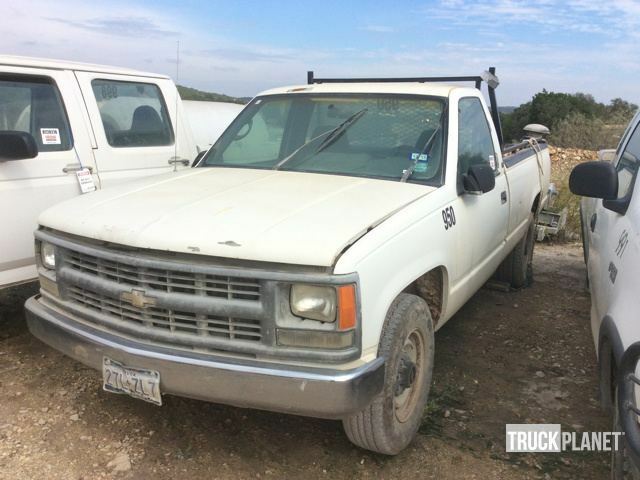 Condition of the truck:1997 / CHEV / Cheyenne / V8 4X4 / Current Registration mileage is around 55,000 as it was only driven on the base, and after only driven locally. Engine and Transmission are excellent, and main reason for me wanting to purchase. NOTE: while this (old man) was working on the truck trouble-shooting a short he happened to turn the odometer FORWARD 100,000 So, it's reading around 160k. Please view "Detailed History" link showing mileage record. Note comparison of big jump of 100k at 05/24/2010 to 08/22/2012. The 3 owners listed in report should be 1.) Military Base 2.) Worker 3.) My friend. When I test drove it, it just seemed to need bushings/shocks perhaps for the squeaking on the suspension. The vehicle's operation/usage has been out in the desert area, and why I believe it's dried out bushings. 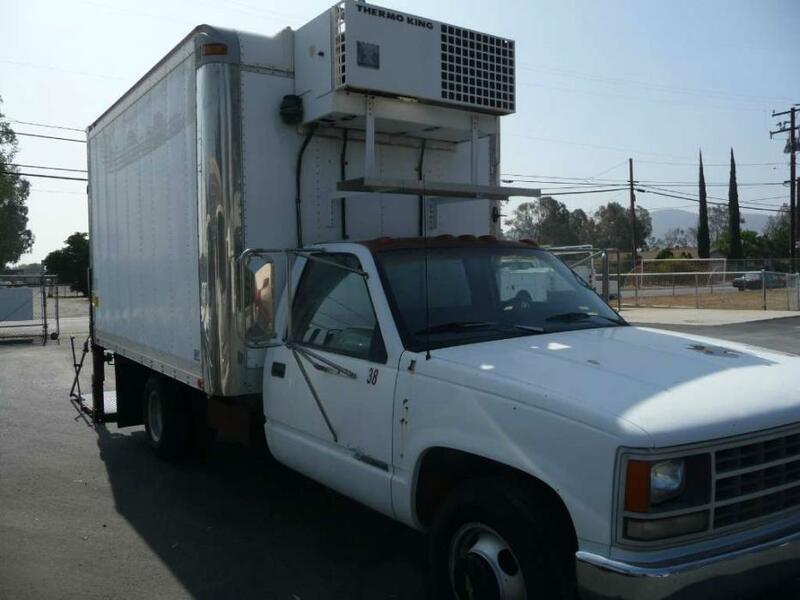 I'm looking at bringing the vehicle to the San Gabriel Valley (home) for the remainder 2 payments I have left on it. I just need to replace a fuel pump, not sure how long the truck was sitting at time of my friends purchase. From the pictures the cab needs some cosmetic work. 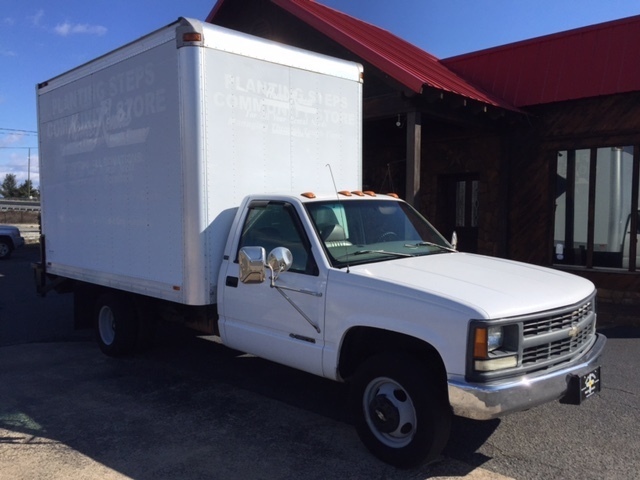 Looking for a buyer in the coming future when I have the truck here to test drive. If willing to purchase now as-is the price will be reduced. Looking for $3,000 or best offer. 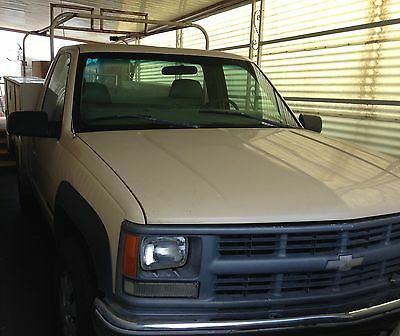 1995 Chevrolet Cheyenne 1500 with utility/service body. Phone: 314.567.4200 E-mail: info@classiccarstudio.com --> Web: www.classiccarstudio.com --> Description International Finance Warranties Shipping Terms Contact Description E-mail: info@classiccarstudio.com Phone: 314.567.4200 This 1972 Chevy K10 Cheyenne Super was original built in Fresno, CA. After completion, the truck spent the majority of its life in AZ up until the time it underwent a complete frame off rotisserie restoration. 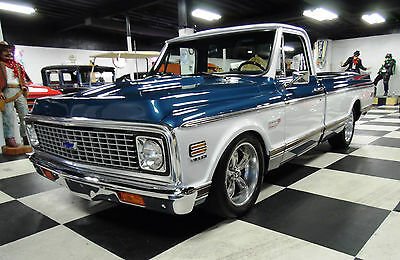 This was a highly optioned truck from the factory and with some new modern options thrown in the mix, it makes for a tastefully upgraded show piece. During the restoration, the body of the truck was stripped down to bare metal and was refinished in a gleaming coat of two stage black paint. With its long panels, the truck is extremely straight and given its West Coast heritage, the body is totally rust free. Also stripped was the original chassis which is smooth and unpitted unlike many Midwest and Eastern trucks that saw a lot of salt. Prior to reassembly, the chassis received a coat of GM semi gloss black. The motor is an LT1 that has been bored and stroked to 427 CI. It sports aluminum heads and breathes out through a set of coated headers which flow into a dual exhaust system. The engine has a mild cam and the dual exhaust system has a great rumble. Keeping things cool is a heavy duty radiator with electric fans and spinning the accessories a serpentine system. The transmission is the rebuilt Turbo Hydromatic unit that pops of nice clean shifts. All of the 4x4 equipment is working properly and truck is very nice out of the roads. Just turn the key and go - with the fuel injected motor, everyday reliability is at your beck and call. The truck has a new interior restored with the factory correct red hounds tooth buckets. Original factory interior options included the Red Houndstooth bucket seats with the factory center console, upgraded gauge package with Amp gauge, Oil gauge, Temp gauge and Vac gauge. The K10 is also equipped with the factory Tachometer and tilt column. Keeping the cabin cool is the factory 4-season Air conditioning system and a modern digital radio sits in place of the original unit. Factory Options: 4-Season Air cond Rear Shock Absorber 400 CID V-8 engine Power Steering AM-FM p/button radio Cheyenne Super Equip Red Houndstooth Interior Bucket Seats Seat Sep Console Rear Bumper Chrome Door Edge Guards Belt Molding Front Wheel Lock hubs Rear Axle 3.73 Turbo Hydra-Matic Ralley Wheels Amp-Oil-Temp-Vac-CA Tachometer Tilt Column Heavy-Duty Radiator Heavy-Duty Battery Speed Warning If a Cheyenne 4x4 is on your list, don%u2019t miss out on the opportunity to add this stunning K10 to your collection. VIN: CKE142Z135297 Year: 1972 Make: Chevrolet Model: K-10 Engine: 427.00 CI V8 Transmission: 3-Speed Automatic Color: Black over Red Odometer Reading: 3790 Financing and warranty options are available. Please call us directly to acquire shipping bids, to answer any questions about this automobile, or to secure this special car for yourself. Be sure to visit our eBay store or visit our web site to view our other inventory! We look forward to your phone call with any questions. 314.567.4200 info@classiccarstudio.com --> This special automobile is currently available for sale in our showroom and is also being advertised in other formats. Classic Car Studio reserves the right to end this auction at any time, and as a result, this automobile may not be available for the duration of the eBay listing. Prospective bidders are requested to review our “terms” available in our toolbar-as well as, to utilize any of the other features which we have collected there for buyer assistance. All images of the vehicle presented for sale are of the actual automobile being sold and are guaranteed to be free from alteration of any kind. Buyers are always encouraged to call us directly to answer questions or to assist with purchase arrangements at: 314-567-4200 Please see our other auctions in our ebaY Motors Store Photo 1: Photo 2: Photo 3: Photo 4: Photo 5: Photo 6: Photo 7: Photo 8: Photo 9: Photo 10: Photo 11: Photo 12: Photo 13: Photo 14: Photo 15: Photo 16: Photo 17: Photo 18: Photo 19: Photo 20: Photo 21: Photo 22: Photo 23: Photo 24: Photo 25: Photo 26: Photo 27: Photo 28: Photo 29: Photo 30: Photo 31: Photo 32: Photo 33: Photo 34: Photo 35: Photo 36: Photo 37: Photo 38: Photo 39: Photo 40: Photo 41: Photo 42: Photo 43: Classic Car Studio is a registered eBay user operating under the eBay name "Classic-Car-Studio." Classic Car Studio is a Missouri Dealer operating under Missouri License number D7670. Classic Car Studio is located at 1002 Hanley Industrial Ct., St. Louis, MO 63144. This template, its images, format, contents, design, and design elements are the exclusive property of Classic Car Studio and its members, and is subject to authorship and copyright protection under Federal Law of the United States. Reproduction of these contents, in part or whole, without the express written consent of Classic Car Studio or its members is unlawful and shall be subject to prosecution to the fullest extent permissible by law. 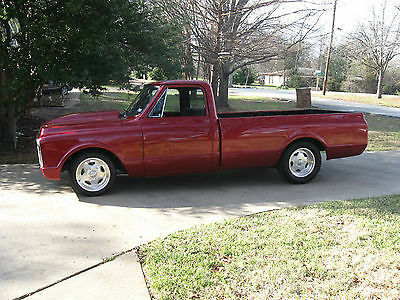 Clean Title, Less than 5,000 miles since rebuilt, Factory disc brake, Factory A/C - currently not installed (Have factory parts), Candy Red Paint w/ tribal ghost flames, Rhino Bed Liner, Lowered front and rear, gas tank relocated under bed, shaved door handles, shaved tail-gate, Rebuilt 350 CI Engine, Carter Carb, Heddman Coated Headers, RPM Air Gap Intake, 1996 Chevy Vortech Heads, HEI Distributor, Rebuilt TH 350 Trans, Rebuilt Rear-end, Auburn Posi-trac, Richmond 373 Gears, New interior, New Body Mounts, New fender wells, all rust repaired before new paint. 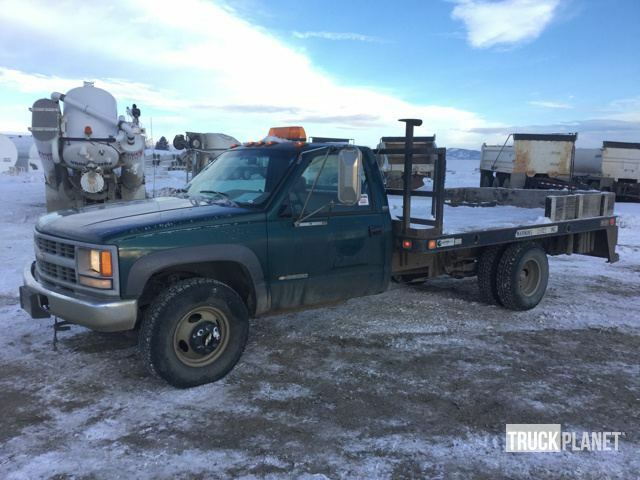 Same owner last 18 years, includes custom car cover, have all receipts for parts. More photos available upon request. $15,000 obo. Cash, money order or cashier's check only. 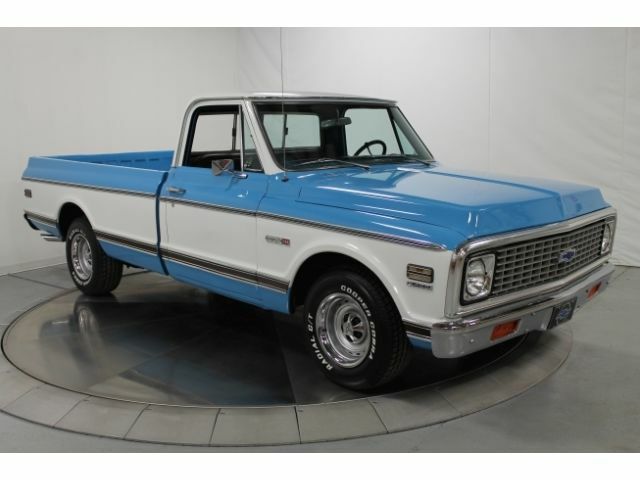 Scott C's Classics and Collectables has a Beautifully Restored 1969 Chevy Cheyenne Pickup up For Sale... 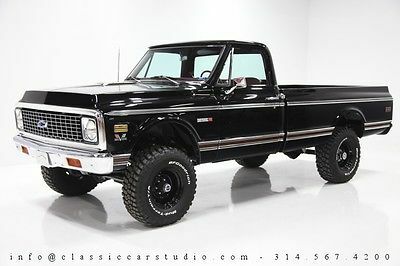 This Truck is as Clean as it Gets from Top to Bottom... Powered By a 396CI Big Block V8... 4 Speed Automatic Transmission... Factory Ac and Heat... Power Disc Brakes... Power Windows... Power Locks... Power Steering... Tilt Wheel... Custom Stereo with CD... Beautiful Blue and White Exterior.... Gray Cloth Interior... Polished Alum Wheels... Dual Exhaust... For More Info Or Pictures Please Call or Text Walter at 724-570-0155... Personal Inspection is Welcomed... We also offer Financing on Classic Vehicles... Terms and Conditions of Sale We take time to carefully describe each vehicle and include a substantial number of photos. However, it is very important to keep in mind that these vehicles are pre-owned, not brand new. 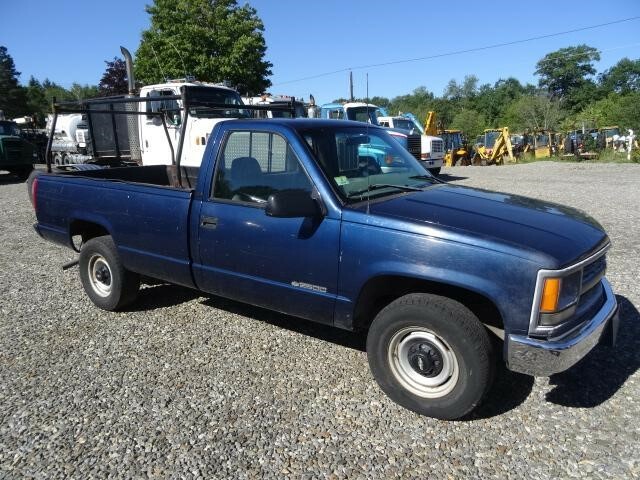 After careful reading of the entire description, rather than making a potentially incorrect assumption, if any statement or comment is unclear, or if you have questions, please e-mail or call us prior to bidding. Originality Disclaimer While we are happy to show our customers the casting numbers, stamping on the motor and V.I.N numbers on the car , we CANNOT guarantee that the motor is in fact the original. There is always the possibility of re-stamped motors , and as technology advances there will be even more. Any representations made by us are "to the best of knowledge." The entire risk as to the originality of the vehicle is with you , The Buyer. We CANNOT guarantee the originality of these vehicles , including but not limited to : the engine , the transmission , "matching numbers" , color change , the frame , the documentation , etc. The mileage is represented to be , "to the best of knowledge" , but not guaranteed. All Pa Buyers must pay 6 % sales tax! All successful winning bidders will be responsible for a non-negotiable $120 Document Processing Fee in addition to the winning bid amount. 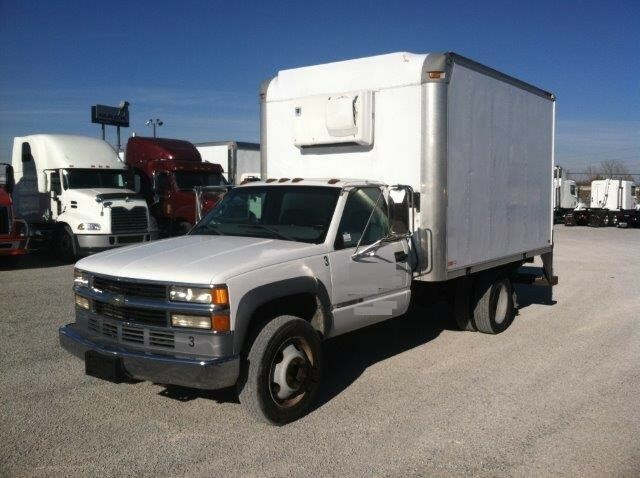 Full payment must be received within 7 business days of the end of auction. Payment must be either by cashiers-check, cash (In-Person) or certified funds. If funds are not received, and an alternate arrangement has not been made, the vehicle can and will be made available to other potential buyers on a first-come, first-serve basis. Scott C's Guarantee We have disclosed as much information as possible about this vehicle and aim to only carry quality vehicles. However, we recommend that all buyers conduct an inspection either in person or through a qualified professional third party inspector. Prior to delivery, if such inspection reveals a substantial discrepancy between the information contained in the listing and the actual vehicle, we will correct the problem at no charge or work out a compromise. Shipping We value your business and want you to be completely satisfied with your Ebay buying experience, from purchase to delivery. As a value added service we will assist with shipping arrangements however, the buyer pays all shipping costs. We do not have any affiliation with, or interest in, any transportation companies and all questions or concerns should be addressed directly with them. Disclaimer All vehicles are sold As Is, with no warranties expressed or implied, by seller. Vehicles come with books and/or manuals only if pictured in the included photos or if stated in the ad. As with any used vehicle, minor signs of wear may become more obvious under close inspection, such as small chips or nicks, light scratches or minor abrasions, wheel scuffs, and other indications of normal wear and tear. We will not and cannot be held liable or responsible for these issues. Non-paying bidders, unqualified bidding, bid shielding, auction interference or any type of harassment, will be dealt with according to eBay Rules, local law, and may include, but are not limited to, legal action and applicable fees, lose of deposit or any other necessary costs. We reserve the right to cancel bids and/or our auction at anytime for any reason. PLACING A BID ON THIS AUCTION, CONSTITUTES ACCEPTANCE OF THESE TERMS AND CONDITIONS AND ACKNOWLEDGMENT THAT YOU HAVE READ AND UNDERSTAND ALL THE INFORMATION PRESENTED.